Recently, one of my friends asked me about my favorite color. "It's purple, right?" she wondered. My first response to her was, "Absolutely not." Well, then I started thinking about it ... and you know what? I'm pretty sure purple IS my favorite color. Not only do I have purple office supplies (which I ordered from Poppin, THE coolest office supply site on the planet), but I tend to carry a lot of purple accessories (like my Hayden-Harnett wallet) and, of course, I wear a TON of purple nail polish. So I think my friend was right after all -- and my favorite color is purple! There was no better time to test this theory than by breaking out my bottle of Deborah Lippmann Call Me Irresponsible. I really don't even remember when I bought this color -- I just know that I've had it forever, waiting and biding its time for the first time I used it. And here we are! It's interesting to see how much different Call Me Irresponsible is on the nail than in the bottle. 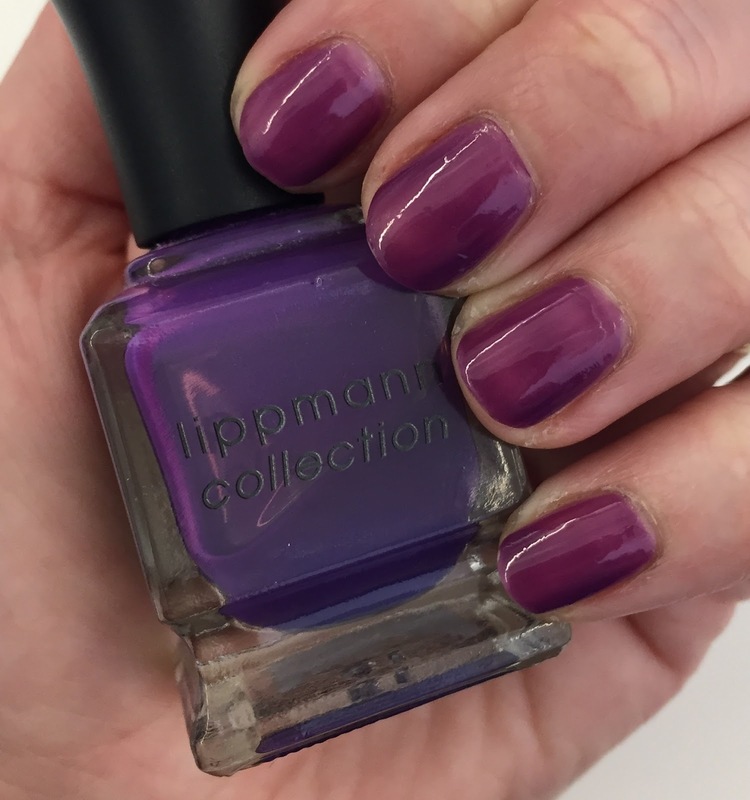 Deborah Lippmann Call Me Irresponsible is a very interesting shade. In the bottle, it looks like a rich, deep violet creme. But once applied? It's a squishy grape jelly! I'm wearing two coats, which might not be enough since there's definitely still some patchiness. But I always feel like three coats, especially with a jelly finish, just become too difficult to apply without smudges. I really didn't expect this color to be quite so different on the nails than in the bottle, and definitely didn't realize it would be a jelly instead of a creme, but I'm not complaining. I don't have anything else like this in my collection so it's a keeper! Deborah Lippmann Call Me Irresponsible retails for $18 at cobigelow.com. WOW, that is one incredible purple! I really love her polishes so much! She can do no wrong, in my view! This is so different than the bottle. I'm not sure I love the color on nails like I do in the bottle. It definitely looks like a totally different color once applied, but still it's very pretty! It might be fun to make a jelly sandwich with this one, with glitter in the middle. That is such a gorgeous purple and I love purples. :) It's been over a year since I have gotten any polishes from DL but I'll check this one out. 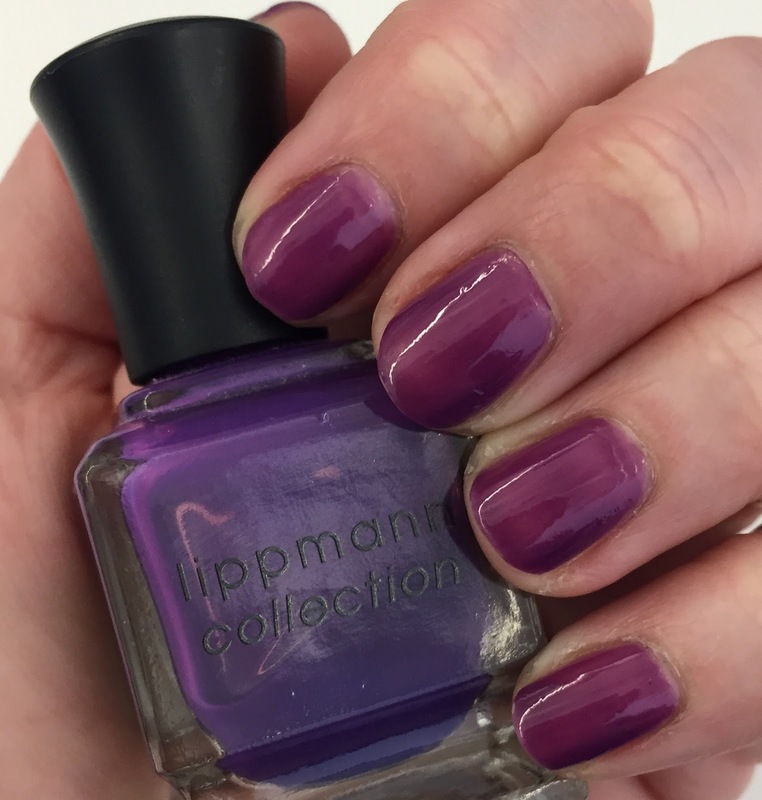 It's a nice eggplant shade! I love purple as well. That squishy jelly finish is everything! I love this squishy jelly purple. I don't mind minor irregularities in jellies, I think that they make them look like the yummy for which they are named, or beautiful, old coloured pressed glass. Either way, I'd wear this, in a heartbeat.